The Odyssey by Homer research papers write that The Odyssey is considered by many to be one of the greatest epic poems of the ancient world, so much so that it is still widely read to this day. This is a topic suggestion on The Odyssey from Paper Masters. Use this topic or order a custom research paper, written exactly how you need it to be. The Odyssey by Homer research papers write that The Odyssey is considered by many to be one of the greatest epic poems of the ancient world, so much so that it is still widely read to this day. Homer was actually a blind poet so contemplating that he memorized and was able to recite the entire epic poem as well as his other work, The Iliad, is truly an astounding feat of Greek Literature. This research paper will examine the story of The Odyssey. The Odyssey research paper will specifically examine and illustrate that one of the major themes of The Odyssey is the importance of hospitality throughout the story. Before the research paper begins however, it is important to summarize the story itself. The story focuses on Ulysses, king of Ithaca which is an island off the West Coast of Greece, and his adventures as he attempts to reach home and his wife, Penelope. The story is obviously a myth containing characters such as the gods Jove and Neptune as they and other gods are participants in the story. The epic may have had some basis in fact at some point but over hundreds of years of being passed on orally from generation to generation with each new generation changing parts it is hard to tell which if any of the characters ever existed in real life. The city of Troy, where the war proceeding the Odyssey was set has been proven to exist. In ancient times such as the period in which The Odyssey is set, ritual was much more important than it is in modern times. There were codes of conduct, of hospitality and how someone was to be treated under specific circumstances. It was always important to act in accordance with those traditions. In The Odyssey the gods held hospitality to be very important as well. Sacrifices to the gods can be the difference between life and death or add years to a journey as shown in the nineteen year epic of Ulysses to finally get home to his wife. His journey was lengthened because of angering one or another god. Another example alluded to earlier illustrating the importance of hospitality in the narrative is the treatment of the gods. One could say that Ulysses abuse the hospitable of the gods. He didn't acknowledge their assistance in conquering Troy. In doing so he offended the gods. The gods could provide food, the wind and a safe journey on the sea. The act of Ulysses when he boasted how great and wonderful he was to conquer Troy. Neptune and the other gods decided to punish him and show him how insignificant he really was in the scheme of things. Ulysses totally ignored the fact that the gods had given him so much though continually defying them and doing things his own way. In the end it worked out for him but his act of being a poor guest in the gods realm added years to his journey. Yet another example of the importance of hospitality in the epic poem is Ulysses stay with Circe. This example shows that sometimes hospitality can be almost too good. In this case it is so good in fact that Ulysses seems to lose track of time and before he knows it an entire year of eating, drinking, and frolicking has passed. The following short excerpt shows some of the hospitality. "The bath, the feast, their faining souls renews; Rich in refulgent robes, and dropping balmy dews." After suddenly realizing how long he has been there Ulysses rouses his fellow travelers and they leave. Circe demonstrates another aspect of hospitality by telling Ulysses some of the dangers ahead. She warns him of the Sirens and many other dangers as shown in this short excerpt. "Next, where the Sirens dwell, you plough the seas; Their song is death and makes destruction pleased." Though he is leaving her, she is still bound by hospitality to warn him of future dangers. Hospitality as well as treatment of the gods and hospitality toward the gods is also vital in Ulysses's stay on the island of Calypso. This is also another example of how hospitality can be almost too good at times. In this instance though Ulysses is forced to stay on the island by Calypso. So it is basically a prison, though she treats him well and is hospitable in all other ways. Ulysses stays on the island of Calypso for a full seven years. Finally it is the gods who decide it is time for Ulysses to leave and continue his journey home. When Ulysses leaves the Island of Calypso and is shipwrecked by Neptune on the shores of Pheacia another example of the importance of hospitality is shown. Once again Ulysses is saved by the hospitality of a beautiful woman which seems to be a common theme throughout the narrative as shown in the following excerpt. "But since thou tread'st our hospitable shore, 'Tis mine to bid the wretched grieve no more, To clothe the naked, and thy way to guide." Nausicaa, the daughter of the king and an excellent host, gives him directions in what manner to apply to the king and queen of the island. A joyous and heartfelt welcome to a place was also important in the story as shown from the following excerpt when Telemachous and Pisistratus arrive in Sparta and are relieved by Menelaus. "While this gay friendly troop the kind surround, With festival and mirth the roofs resound: A bard amide the joyous circle sings…" As this shows and throughout the entire narrative a good welcome was always important at this time as well as treating the guests correctly. In conclusion, as this paper has shown hospitality and its importance is one of the most important themes in The Odyssey. The importance of the custom of hospitality was shown especially in the way that Penelope had to treat the unwelcome suitors in Ulysses's palace. It is shown again by the way the gods must be treated and respected throughout the tale if Ulysses is to get their help or their blessing in whatever action he takes. As noted earlier, pomp and ritual was also very important to the act of hospitality as they carried a deep meaning of respect to the guest and demonstrated the class of the host in the time of Ulysses. Themes of the Odyssey - Themes of the Odyssey Research Papers delve into literature project with format requirements and a specific edition of the text required. Athena in the Odyssey - In research papers on the Odyssey, Athena’s appellation as the goddess of wisdom is increasingly apparent; it ultimately eclipses the importance of her concomitant title as the patroness of war. Euripides - Euripides research papers discuss his best known plays, just like Sophocles. Literary Canon - Literary Canon Research Papers look at how culture defines literary canon and how it can be found in all genres of literature. Trojan War - The Trojan War comes down to us from antiquity largely from myths and legends now lost. Lucretius - Lucretius term papers look into the Roman poet and philosopher from the Epicurean school of thought. Hero - Hero research papers write on the concept of the heroic ideal in literature. Greek Literature - Greek Literature Research Papers focus on the famous ancient Greek authors such as Homer, Thucydides and Herodotus. Zeus in Greek Literature - Zeus in Greek Literature research papers discuss the God's role in Greek Literature as the fountainhead of Greek Mythology. King Minos and the Minoan Civilization - King Minos and the Minoan Civilization research papers look at the contributions that not only the king accomplished but also cultural contributions that the Minoans made. Athens - Athens research papers on the Greek City state on the central plains of Attica. Role of Women in The Odyssey - This is literature research paper on the Role of Women in The Odyssey. Iliad and Odyssey - History ascribes the composition of both the Iliad and the Odyssey to one poet: a shadowy figure known as Homer, who may have merely been the first two write down these epic poems. Ulysses Alfred Lord Tennyson - Ulysses Alfred Lord Tennyson research papers examine the modern re-telling of the epic story of Odysseus found in the Odyssey. 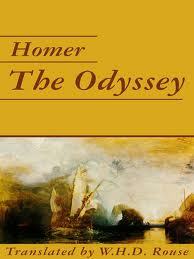 Paper Masters writes custom research papers on The Odyssey, one of the most famous works of Ancient Greek Literature.